I know I’m not the only one who wishes there were more hours in a day. Work, kids, appointments, working out, sleeping, and oh yeah eating… there is so many things to squeeze into 24 hours. 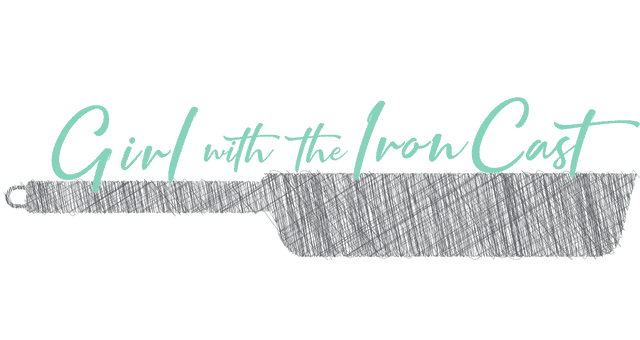 If there was a kitchen super hero it would be a slow cooker/crockpot. It’s so nice to be able to throw something in there and it be ready when you get home from work. 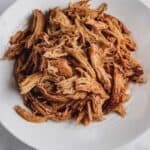 This slow cooker shredded chicken is a staple in my household, it’s so versatile and easy. 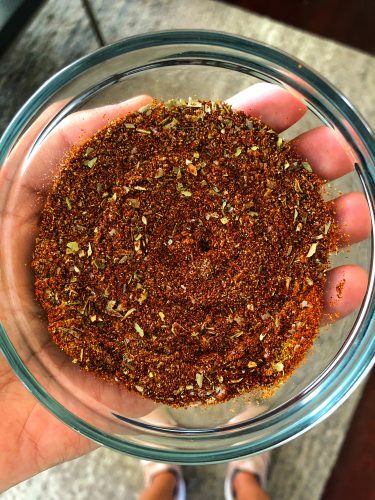 It is all in the spice blend. 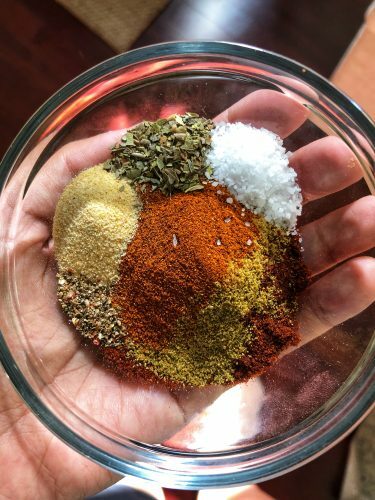 This recipe started with me randomly throwing different spices I had in the cabinet and it really started to elevate the different dishes I would include it in. 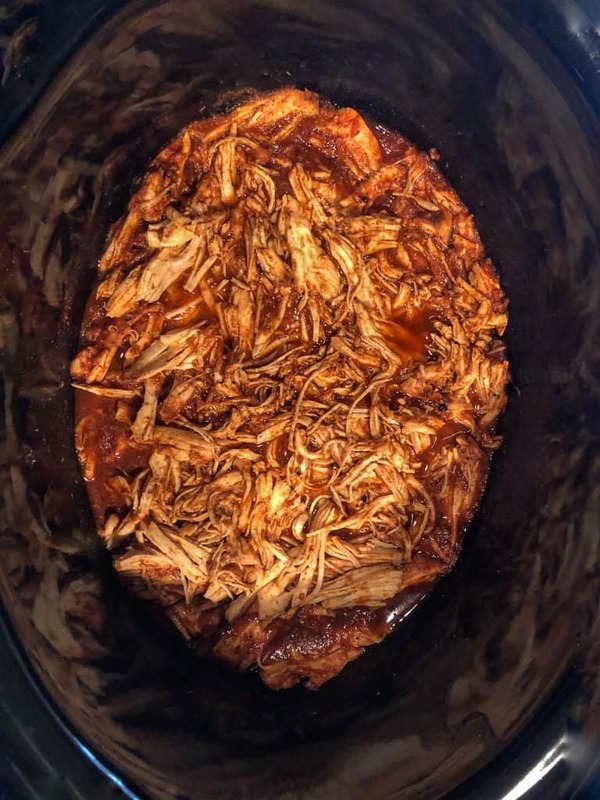 I use this recipe in fajitas, enchiladas, bowls, meal prepping, etc. It’s definitely a recipe, that should become a staple in your kitchen. 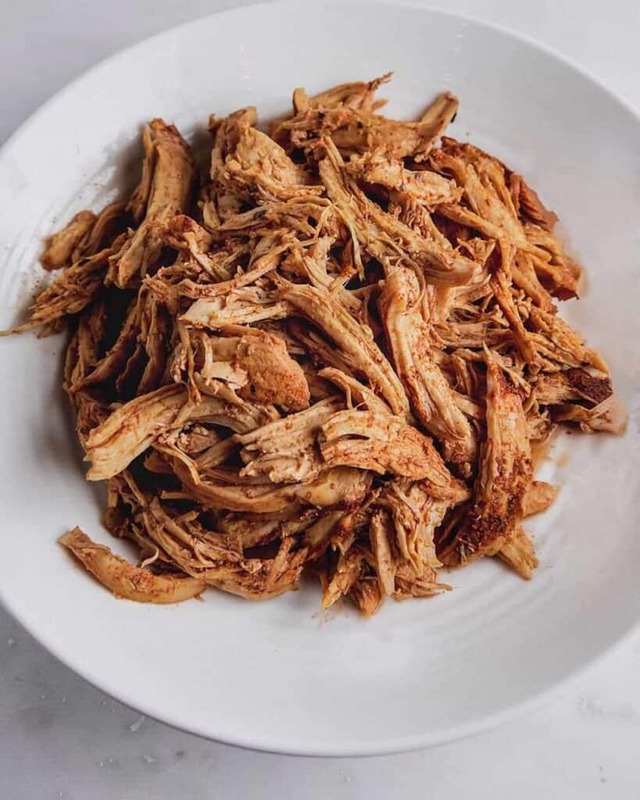 Juicy, flavorful, shredded chicken made in the slow cooker that is so versatile and can be used in countless dishes. – Combine all spices in a small bowl and mix. -Add chicken broth to slow cooker, then add chicken. Pour half the seasoning in and flip chicken over then add the rest of the seasoning on top of chicken. -Cook on low for 8 hours or on high for 4 hours. -Once it’s ready, take two forks and shred chicken. Careful shredding in the crock pot because dish is hot. You can also remove and shred on a cutting board, then add back in.